Welcome to ACTION:SDG – your online platform for obtaining resources and sharing knowledge on addressing the health equity and reaching the Sustainable Development Goals. 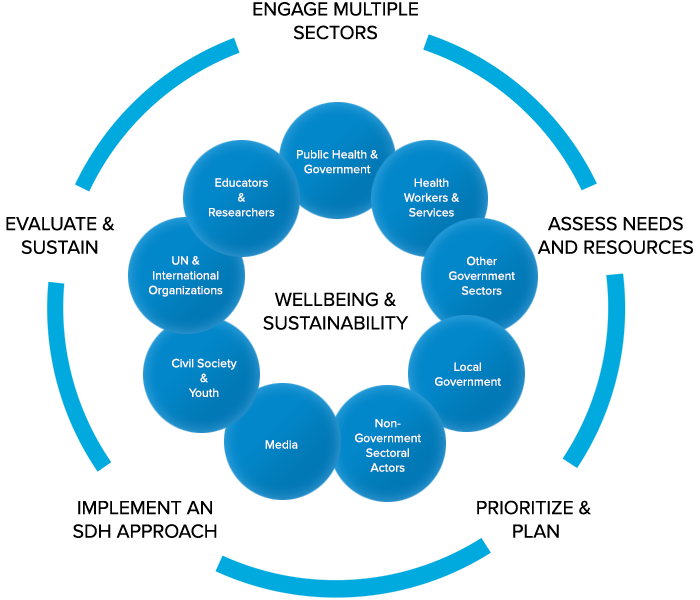 This platform is for all SDH actors from different sectors – public health, health workers, government, civil society, media, educators and researchers, the United Nations and other international organizations. Explore the site to find the latest news and announcements and to obtain resources for taking action. We are glad you are here.